If you don’t say it, they can’t play it. To many in the world of music and entertainment, Christina Johnson is just known as the former wife of CeeLo Green, the Atlanta-bred rapper turned singer from Goodie Mob, and the mother of their son Kingston. Today, she is one of five enthralling cast members on the Hollywood Exes spinoff, “Atlanta Exes,” and is actually a God-fearing Interior Designer who has owned a design firm for over 12 years. In addition, Johnson went into business with her best friend and celebrity makeup artist, Toni Acey, to create a special collection of lipsticks, lip tattoos and lip glosses called “Butterfly EFX.” It’s a DIY effort, not a private label, and it lasts for about 7 hours. Your lip art will not come off when you’re eating or drinking. Readers: If you’re wondering when Butterfly EFX will be available, you don’t have to wait too long. Johnson discloses that their unique collection will be available in just 60 days, and onsale through the website. If you’re dying to see what it looks like, you can check out the season finale (Episode 4) of Atlanta Exes. She’s donning “the tiger lip”, and it looks good. There’s also a pink with white polka dots version. Click this link to watch a bonus clip online from the episode. Is that the same thing that Missy Elliott has? Yes, that’s the same exact thing she has. Readers: This disease has also affected other notable beauties in the business like Oprah Winfrey, Wendy Williams and Kelly Osbourne. In an interview with People Magazine (June 24, 2011), Missy Elliott disclosed that she experienced extreme symptoms and explained that she couldn’t even hold a pen, and because she’s a songwriter, one can only imagine the probable dismay, discomfort and discouragement Elliott must have experienced in those times. Aside from Johnson’s lipstick, lip tattoo and lip gloss line, she’s also working on something called “Womanocity” with R. Kelly’s ex-wife Andrea Kelly from Hollywood Exes. Congratulations on that by the way. That’s great! What made you decide to appear on a show like Atlanta Exes? Well, I’ve been offered quite a few shows prior to, and I turned them all down just because there’s a formula to reality tv right now that’s not so positive. The creators of this particular show, because I was a fan of Hollywood Exes, have a slogan called “Real good, feel good TV” and we can’t have any disagreements that we can’t recover from. Initially, I just prayed about it cause I’m really spiritual and God-led on everything, and it felt like it was a good opportunity for me. My main reasoning for getting involved was because of Graves’ because I wanted to bring light to that. Like you said earlier, Missy Elliott deals with it. Wendy [Williams] deals with it. Alot of women have dealt with it, so I just wanted to make sure people understood what it is and how it can affect your body because I’m sure I suffered from it way before I knew that I had it. So, you know, if you’re giving people information on the symptoms, and things of that nature, you never know how many lives you could save or help. Recommended Stories: Video Premiere: Reve Kalell's "Feel It"
What is your ultimate goal from being on this show? Is there something that you have your heart set on, that you want to come to fruition, from the show? Absolutely. Yes, it’s to break stereotypes. I don’t want people to think that we, as women, cannot get along. Especially, Black women. It’s not true. I have great relationships with all [of] my castmates and all of the friends in my life. We don’t fight. We get along. We have great times together, and I just want to break that stereotype. I want women to live the best lives that they possibly can, you know, anything that they can learn from me. That’s my reason for doing it, and I hope that’s how it comes across. What do you think you’ve learned from the show so far from being on the show? Learned… Just that we, as women, we go through similar circumstances. Even though we may be different, we all have a lot on us. As women we deal with alot of stuff. It’s just good to be able to bounce these things off of my girls and work through things. I would just say that we have a lot of things that we go through. That’s one common thread. Recently, we just published an article on something called “Essure”. We’re moving more into Women’s Health & Parenting so I want to ask you: How do you juggle being a mom and being a businesswoman or an entrepreneur. Is it something that’s difficult? Have you found the balance yet? Yeah, that’s because two of my kids are grown. So, I have it now. Before when I started my business, initially, I was working a lot. Then I ended up taking weekends off, to make sure that we were spending our weekends together. And when I was young, a single mom, I worked the late shifts so I could be home and get them ready for school, put them on the bus. I was home when they got out of school and then, I didn’t go to work until they were in bed. You just find a way to work your schedule around it, and another big thing is communication. Just making sure that if there’s any needs that aren’t being met with your children—I know now that because my son—You know his dad has been in the industry for years, now it’s mom. You know, we have a pact that if I have to travel for press and he’s out of school, he goes with me. If he feels like he’s missing out on any attention, he lets me know. It’s all about communication and being there for them, and letting them know that they’re first. They come first. Before work, before everything. I can’t help but ask. I can’t remember which publication it was but a young lady sent a message to the guy that you’re dating and you said something that was really cool. I think that you handled it in a very positive manner and I think that’s great. You could have said anything but you handled it the way that you did. Where do you think that comes from? “Well, it’s because I feel like every woman is my sister and we can’t keep doing this to each other. It wasn’t even about him. He gets these messages all the time so it was kind of like the straw that breaks the camel’s back. It’s like, ‘Come on now, you know? I mean, if you see your sister in a relationship [or] in a marriage, what have you, you can’t keep doing this to her. It’s disrespectful, and I just wanted us as women to get that message, like, there’s enough to go around. You can have a man of your own. Don’t break up happy homes or marriages, you know? It’s not that serious. Don’t hurt your sister. I never want to be the face behind another woman’s pain, ever. You know what I mean? I’ve been cheated on. I know what it feels like to get hurt but I would never want to be that face. You understand? So, that’s what it was about. More to just bring light to us as women. Just to be good to each other. As a businesswoman and an emerging entrepreneur, what do you think is your biggest fear? God’s my only fear. I don’t like to cry but I know I do it anyway. I’m the one to conquer fear but I don’t worry. I think you know me being sick for so long, almost losing my life and me going through so much with domestic violence and that kind of thing in my life, like God is the only thing I fear. Nothing can break me at this point. I’m not afraid. I feel like nothing happens by coincidence. I’ve never seen that word in the bible. Everything happens just as it’s supposed to so even in my hard times, I’m grateful. That’s great! I have two more for you. 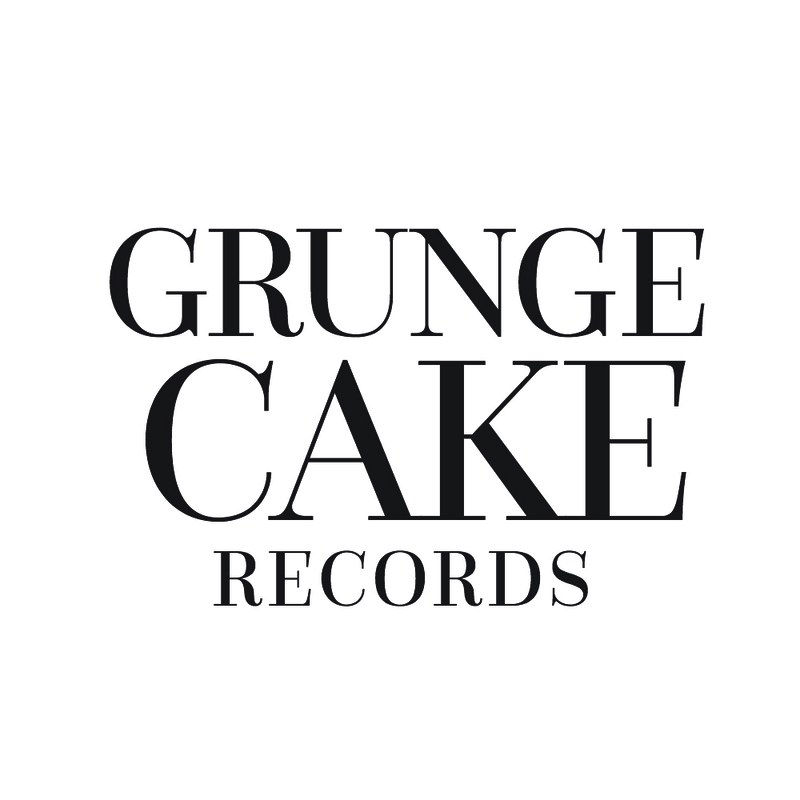 So, the name of my publication is “GrungeCake” and it’s become customary that I ask this question. I’ve been asking it for a long time, and I get so many different answers. When you first heard it or read it, what came to mind? What’s next, and is there anything that you want your fans (and potential new fans) to know? Do you want to set anything straight? I would just say like to say I’m one of the most peaceful and grateful people you’ll ever meet. I just live in gratitude and humility, and that’s everything to me. Everything that is morally right is important. My biggest thing, everyday when I wake up everyday, is to please God and if I’m not doing something pleasing to him, then I’m doing something wrong. I guess one thing that I would want them to take away is just that what they see on TV is me. That’s it. You get me 100%. No acting. No pretending. That’s Christina. Nice. I’m used to people saying that, you know, what you see on TV—especially reality TV—it’s not me. It’s edited incorrectly and that type of thing, so for you to say that, it’s very interesting. It is because you know what? Because this is a motto that I always told the girls when they’re taping: If you don’t say it, they can’t play it. You know, but if I do mess up during the season, I have to take responsibility for my own actions because, you know, they can cut and edit little things of that nature but their not making you say something that you didn’t say. You have to take responsibility for your behaviour. Definitely, and what’s next for you? Hopefully, a second season. I’d be excited about that, and all of the business I’ve been doing. Just making them greater. Design is a passion of mine. I’ll be doing that, I’m sure, for the rest of my life but you know, changing women for the better. I been through a lot in my life and I haven’t been the most perfect person so just being there for other women and helping them become the best women they can be that’s what my mission in life. Well Christina, I have a pair of lips on me so, I am definitely looking forward to supporting you and wearing the Butterfly EFX brand at my birthday party in November, if it’s available. For more about Christina Johnson, stay tuned. We’ll alert you when Butterfly EFX is available for purchase. To watch her on “Atlanta Exes” online, just click here. You can also catch it on television on on VH1.